Are you frustrated about your current IT situation? Tired of your staff complaining? 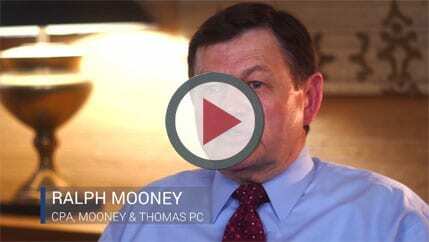 Find out what a true technology partner can do. Want to get costs under control? Get the support you need for key initiatives? 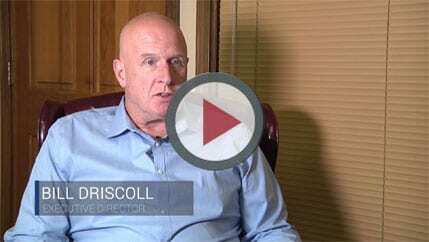 Discover how a virtual CIO/CTO can lead to success. Is it time to get IT off your plate and into the hands of people who have time to do it? Focus on your real job. Lean on the experts. We offer 24/7 maintenance and monitoring to keep your computers, servers, and systems up and running. Our managed IT services help your business prevent downtime, maximize employee productivity, and solve problems before they happen. Keep your precious business data safe! We offer local and cloud backup, encryption, data backup testing, and data recovery. Shield your business from ransomware, hackers, viruses, and the most common security risk of all: human error. The cyber security threat landscape is constantly changing. We can protect you. We offer IT solutions tailored to your company’s requirements. You know exactly what you are getting, and you pay only for the services you need. We never “set it and forget it.” We regularly assess the requirements of our managed service clients, and provide advice based on their business goals. We’re available for one-time and emergency situations, too. Network down? Computers dead? RANSOMWARE? 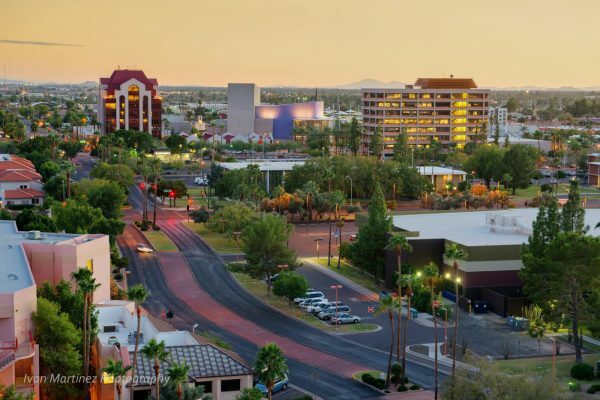 Our owners and employees live in Mesa, Gilbert, Chandler, and Queen Creek, so we can quickly reach your office when you need hands-on service. Is Managed IT for You? Watch this! If you sat down and really looked at the amount of money you pay your employees to sit around doing nothing while they wait for your computers to work, (because they’re down — again!) you would be surprised, and probably dismayed. And if you sat down and read the statistics about how many small and mid-sized businesses declare bankruptcy after an IT disaster, you would be frightened — or you should be. 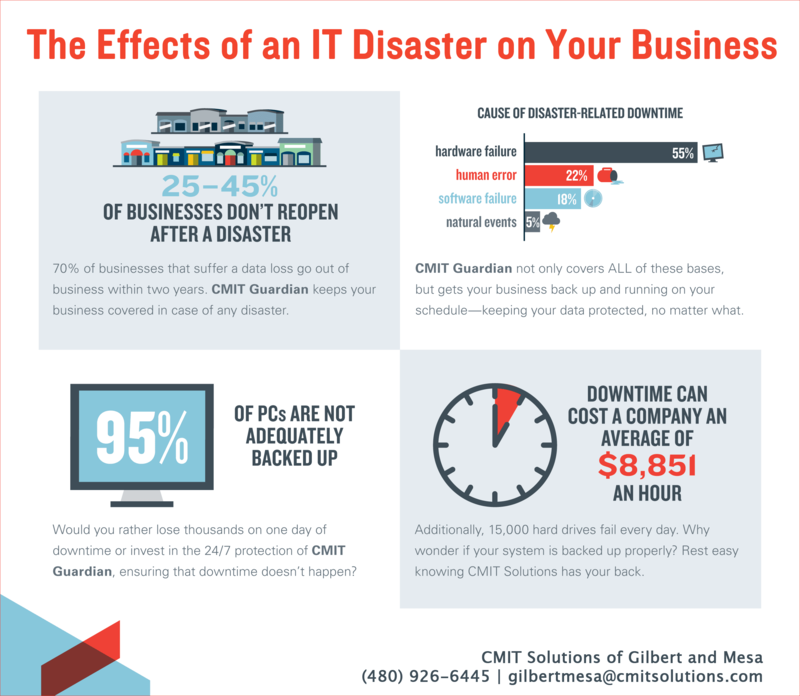 CMIT Solutions of Gilbert and Mesa offers a wide range of services to tackle both of these problems. We keep your systems running smoothly, and we prevent hacks and attacks that bring your systems down or damage your reputation.